​Jerry and Maryanne Nucci started their first restaurant on Broad St. in 1994, fulfilling a longtime dream of Jerry's, and expanded into a second location on Foothill in 2000. Throughout the years, the menu has remained pretty much the same: pizzas, salads and sandwiches, with pastas added to the lineup as well. That's a menu that may sound simple but Jerry says "if you use good ingredients, people won't get tired of your food." Indeed, the Nuccis' level of commitment to what goes into their food arguably borders on obsession. All the bread and dough is made fresh daily as well as the sauces and salad dressings, lasagnas and meatballs too. 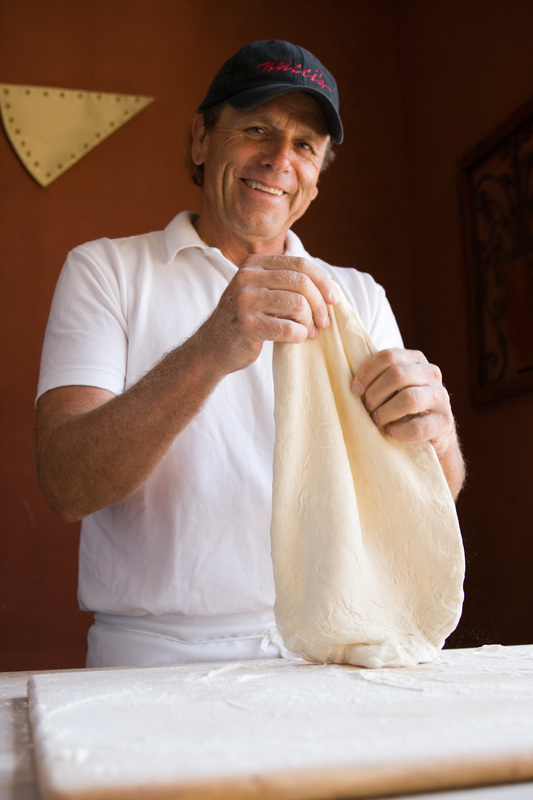 Obviously, the Nuccis could also choose to use a lot of other pre-made ingredients, but "we're going for the non-corporate taste, and that is what makes us unique". Nuccis relish being hands-on owners and remain constant figures in the kitchen and the front of the house.